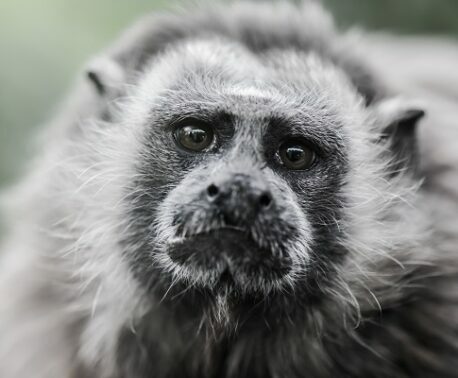 Cotton-top Tamarin Reserve in north west Colombia is protecting two of the world’s most endangered primates. The reserve is owned and managed by Colombian NGO Fundación ProAves (ProAves). Originally seven adjacent properties, the reserve was created in 2013 with funding from World Land Trust (WLT) and Rainforest Trust. Lying between the Darian highlands and the Colombian Andes, the reserve protects an area that is the last intact remnant of Uribe rainforest habitat. Measuring 5,691 acres (2,303 hectares), the reserve provides an additional safeguard against deforestation encroaching from a road on one side of the reserve. Cotton-Top Tamarins (Saguinus oedipus) and Black-headed Spider Monkeys (Ateles fusciceps) are both found in the reserve, which is also known as Reserva Natural Tití Cabeciblanco. Both species are classified as Critically Endangered by IUCN. 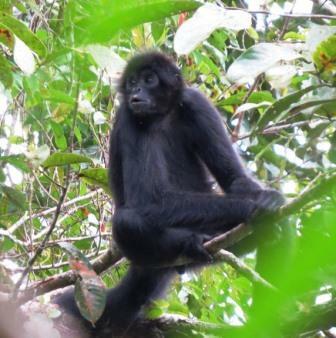 In June ProAves conservationists reported a sighting of 21 individual Black-headed Spider Monkeys in two groups in the reserve. The first encounter was with eight individuals: an infant, three adult males, three adult females, and a juvenile. The second group comprised 13 individuals: an infant, seven juveniles, two adult females and three adult males. The Black-headed Spider Monkey, known by indigenous people Embera Katíos as Yarré, is one of the rarest and least studied primates in Colombia. It has a restricted habitat in Panama, Colombia and Ecuador and its population is in freefall because the species is hunted for bushmeat, trafficked for the illegal pet trade and suffering from acute loss of habitat. Like other primates, the Black-headed Spider Monkey plays an important role in the ecosystem, in particular dispersing seeds throughout the forest. Population estimates are between 70-100 individuals in the reserve and there is no other known protected population in Colombia. There are some 2,000 mature Cotton-top Tamarins left in the wild and the population is sharply decreasing, according to a study carried out by research scientists at Proyecto Titi (PT). Recordings of Cotton-top Tamarins are rare, and Cotton-top Tamarin Reserve is one of just two protected areas for the species in Colombia. The findings of the TP study prompted reclassification of the Cotton-tops to Critically Endangered and they feature on a list of the world’s 25 most endangered primates. More than 272 species of bird have been recorded in Cotton-top Tamarin Reserve, several of which are endangered. The area is a stronghold for Baudo Oropendola (Psarocolius cassini) and Baudo Guan (Penelope ortoni). Colombia’s most important population of Great Green Macaw (Ara ambiguus) is found in the reserve area. The Recurve-billed Bushbird (Clytoctantes alixii) has also been sighted. The site lies within the principal migratory pathway for species, with a major passage of raptors and songbirds in the spring and autumn. All four of these species are listed as Endangered by IUCN. Spectacled Bears are reported to be in or close to the new reserve. © Paul Salaman. The reserve may also shelter Colombia’s largest population of Great Curassow (Crax rubra), listed as Vulnerable by IUCN. Cotton-top Tamarin Reserve is also home to Jaguar (Panthera onca): tracks are found daily but the mammals are heavily hunted. Spectacled Bears (Tremarctos ornatus) are reported to be in the area. 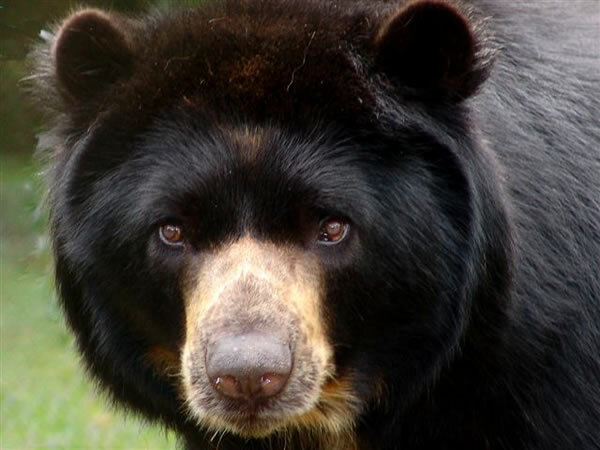 Jaguar are listed as Near Threatened by IUCN, while the rarer Spectacled Bear is listed as Vulnerable. ProAves rangers have recently installed six camera-traps in the reserve and they are already producing useful images. Rangers have also created three trails for wildlife watching. World Land Trust has been supporting ProAves since 2009. 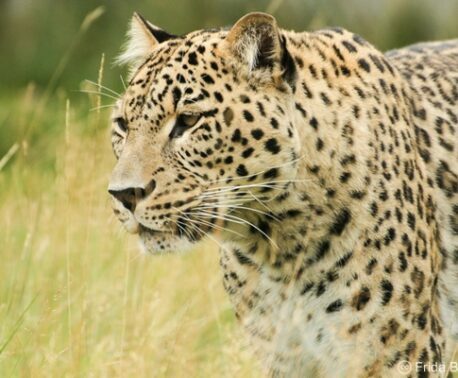 Since 2011 funds from WLT’s Buy an Acre appeal have been used to help ProAves extend its reserves. You can help save more tropical forests for endangered primates by donating to Buy an Acre.